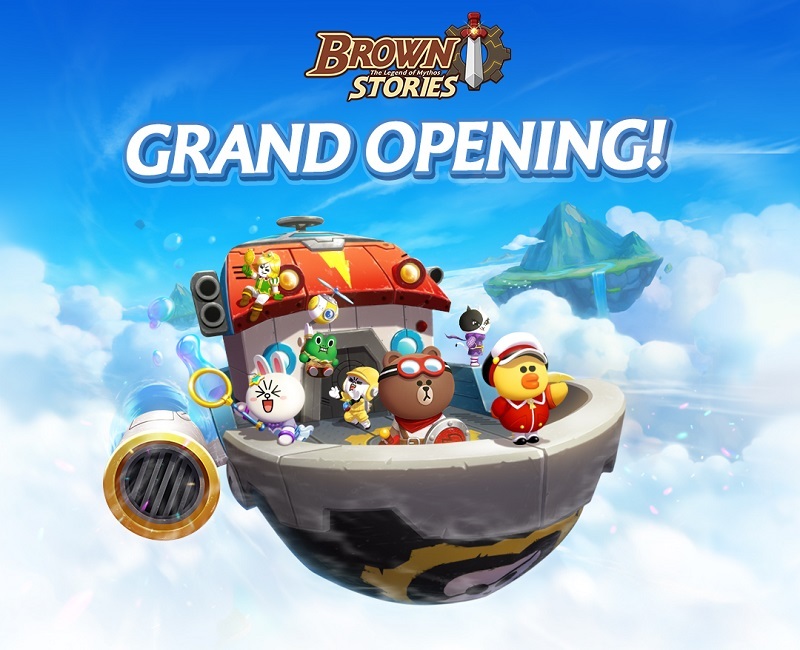 TOKYO – February 18, 2019 – LINE Corporation (“LINE”), operator of the gaming platform LINE Games, announces that LINE Brown Stories, the latest strategy battle RPG, launches worldwide today. LINE Brown Stories is a strategy battle RPG in which players work together with LINE characters to defeat oncoming enemies. Many users, including LINE character fans, had already signed up for the game when it opened its pre-registration on January 24, 2019. LINE is delighted to announce that LINE Brown Stories goes live worldwide today. The story progresses as the player completes deserts, towns and other stages in the game by utilizing various skills with tap and swipe gestures. The game also offers co-op play and player vs. player battles among LINE friends. To commemorate the game’s launch, special in-game events will be held for players to receive a chance to win powerful characters. Head on a journey with Brown, the legendary hero, and friends to recover Cony’s lost memories. After the game goes live, pre-registered players will be rewarded an exclusive character commemorating the title launch and gameplay items (10 Orbs, 50,000 Gold, 20 Rainbow Crown Hide, 5 Eren of the Wind, and 5 Eren of the Lightning) by logging in to the game during the eligibility period. Powerful Mobius Order characters will star in a special event stage during this period. Complete all the missions in the event stage to win rewards and view a special Mobius Order episode. Pickup gacha includes Mobius Order characters starring in the special episode during the event period. Do not miss this opportunity to collect all seven characters. 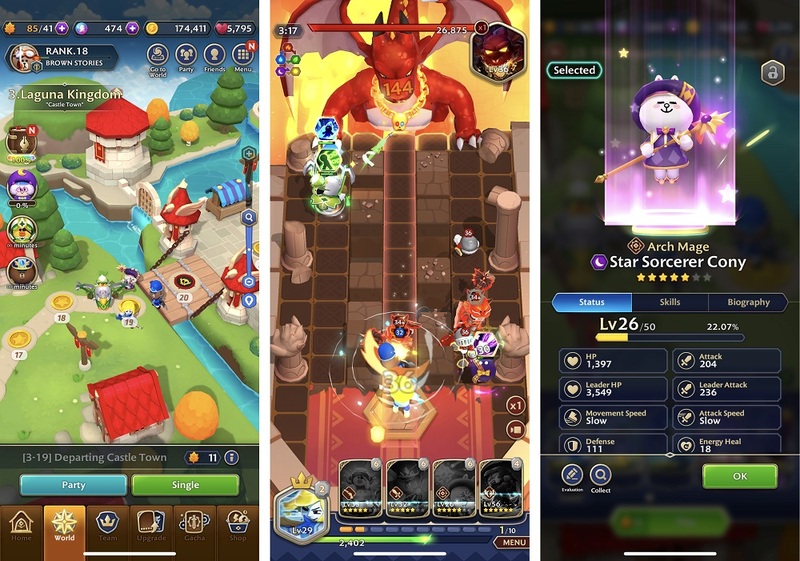 LINE Brown Stories is a strategy battle RPG in which players utilize tap-and-swipe gestures to master skills and defeat oncoming enemies together with LINE Characters. The story progresses as the player completes various stages in the game, such as deserts and towns. Players can select from eight classes: Valiant, Nighthawk, Crusader, Sniper, Desperado, Bastion, Arch Mage and Battle Mage. Co-op play with up to 3 LINE friends is available in every stage, with new stages planned to be released. Players can also enjoy 2 vs. 2 battles with their friends.